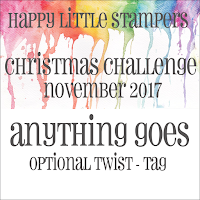 We are celebrating Christmas at Scrapping4fun challenges where the theme is "Christmas" for challenge # 104. I created this Pop up Card or you can call it Card in a box. 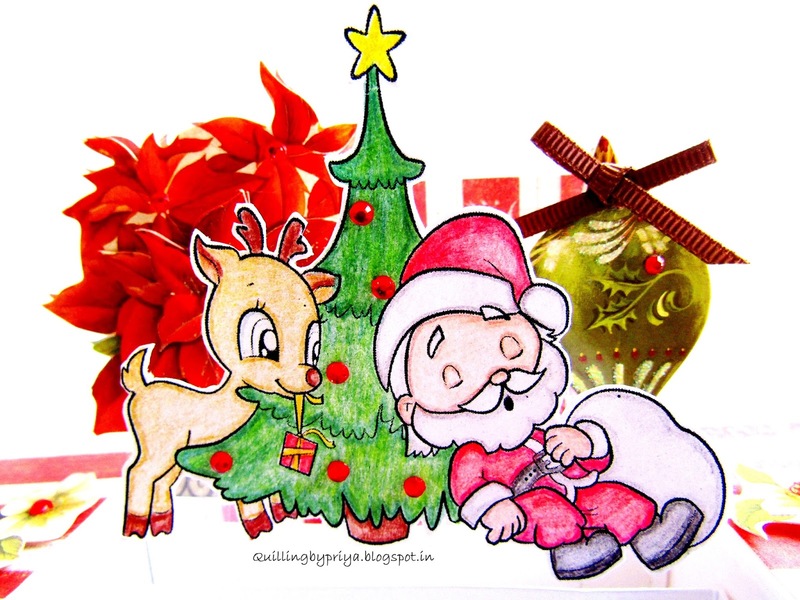 I have used "Santa Sleepy Head" Digi Stamp from Aliciabel who is also the sponsor for the challenge. 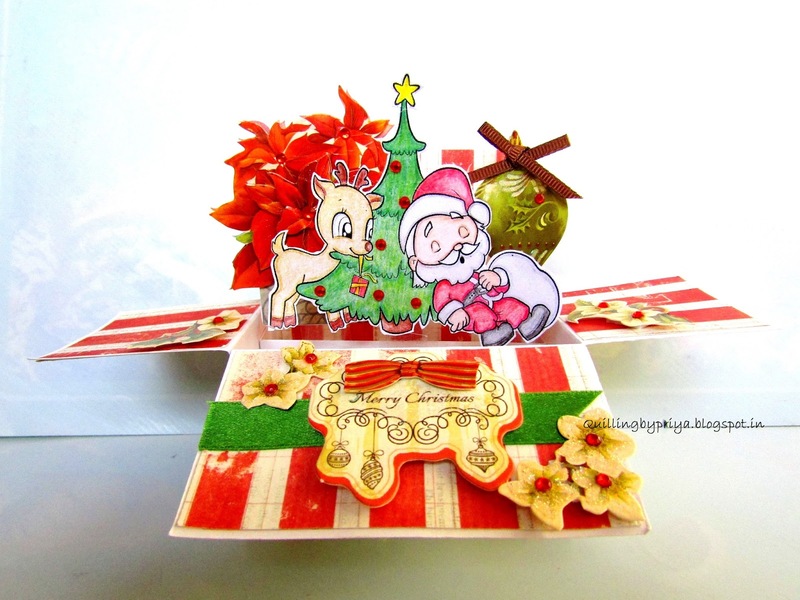 I colored the stamp using Faber Castell color pencils and cut that out and attached to the card.I decorated the card using some 3d Christmas stickers and rhinestones. 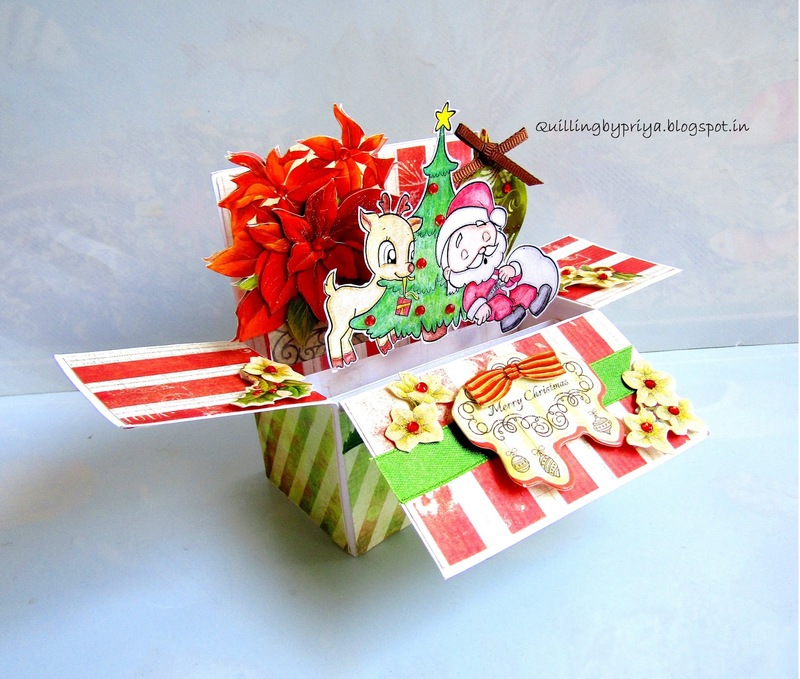 At the back of the card, there is space for sentiment and the card folds like this and fits into any regular envelope.